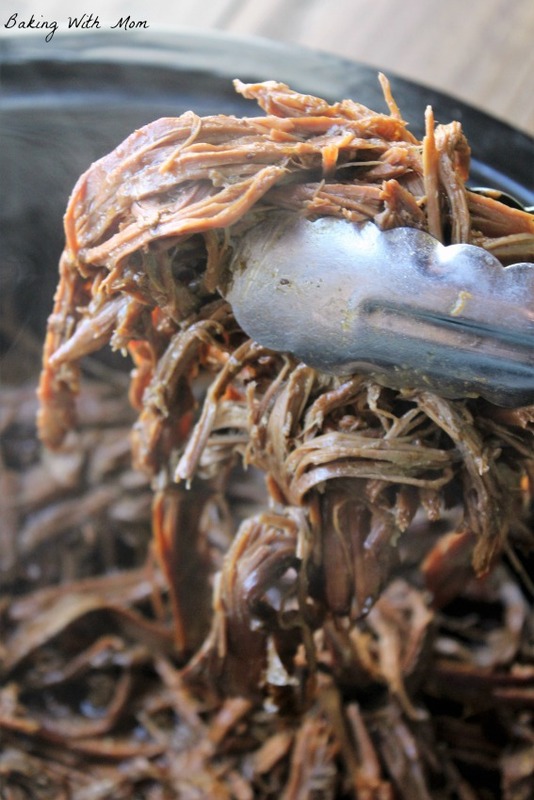 I just served this 3 ingredient slow cooker shredded roast beef to my family for lunch and I still want to reach through the screen and take a piece. This roast beef cooks all day in the slow cooker and your house smells amazing in the process. *This post contains affiliate links. If you click on the link and make a purchase, I may receive a small commission at no additional cost to you. You may view our disclosure here. As with most of my recipes, this 3 ingredients slow cooker shredded roast beef has a story behind it. A story that involves a sweet piano teacher and Cora. And a delicious smelling coat. This coat, clear back in December, was etched in our minds for a couple of months until I tried and tweaked it. This supper recipe will have your family thanking you and begging for you to make it again. Trust me. 71 Slow Cooker Recipes to help you prepare dinner ahead of time. This time of year just calls for using the Slow Cooker! To be out in the cold, knowing your supper is bubbling away, hot and ready to eat when you walk in the door. Totally priceless. I know some of you don’t have slow cookers at home and I almost would beg you to get one. They are a life saver. So do you need recipes? Like 71 Slow Cooker Recipes? We got them.